Cosmetic pesticides are now banned for use in Ontario, meaning you cannot buy them or APPLY them (even if you get them from the states). As easy as they seemed for getting rid of weeds and pests, they did not solve the problem, they merely treated the symptoms. The new approach to pesticide-free lawn care may seem like more work, but it will pay off in the end. Many people are complaining about the ban, but I think it’s a great idea. When I mention this to those who do not support the ban, they often respond with details on how the pesticides aren’t that bad and that the health claims against them are false or overhyped. I admit I don’t know every detail of the health impacts of pesticides, but I do know that they are chemicals that kill living things. 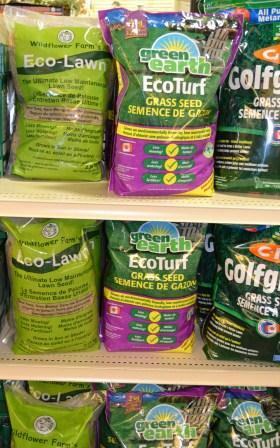 My biggest concern about the use of cosmetic pesticides on residential lawns is what I call the “Idiot Factor”. These are the people that do not follow the proper guidelines for the use of these chemicals. I have been in garden centres, pre-ban, and heard people say that they weren’t really sure what was causing the dead patches on their lawns, so they were going to buy one of each pesticide and apply them all together, figuring that something would work. I have also heard people talk about how they would double or triple the application rates for better results. I have seen lawn care companies go to the wrong address and spray the backyard with pesticides, right over top of the homeowner’s young children’s toys that were in the backyard. One of the children had severe sensitivities to chemicals and they had to throw out all of his toys that were sprayed, much to the child’s disappointment and to the parents’ fury. I have had lawn care summer students tell me that the dead patch on my lawn was definitely grub damage and that I would have to spray my entire lawn to get rid of them. The dead patch was where because I had left a bad bag of compost out for too long in the sun. The rest of my lawn was free of any dead patches and any sign of grub damage. These people are the reason why I support the ban. Even if 99% of people were using cosmetic pesticides the correct way and the “Idiot Factor” only represented 1%, that is 1% of trouble I would rather not see. 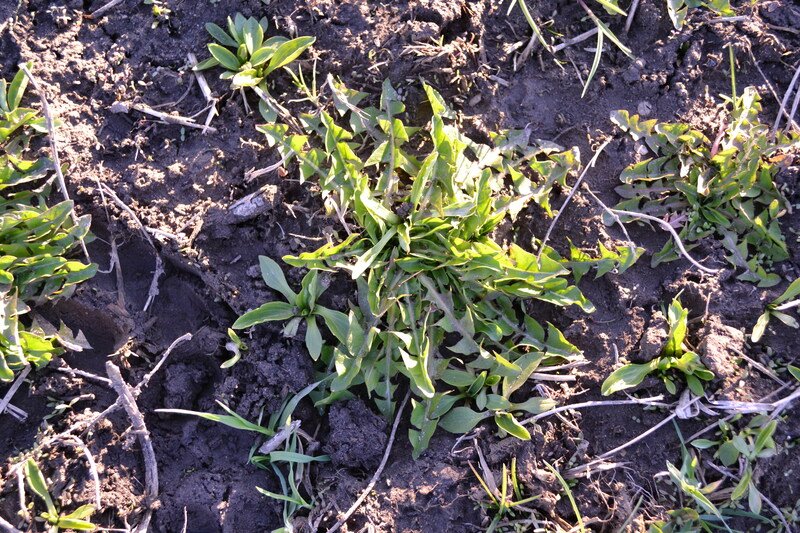 So, how can you get rid of your weeds? 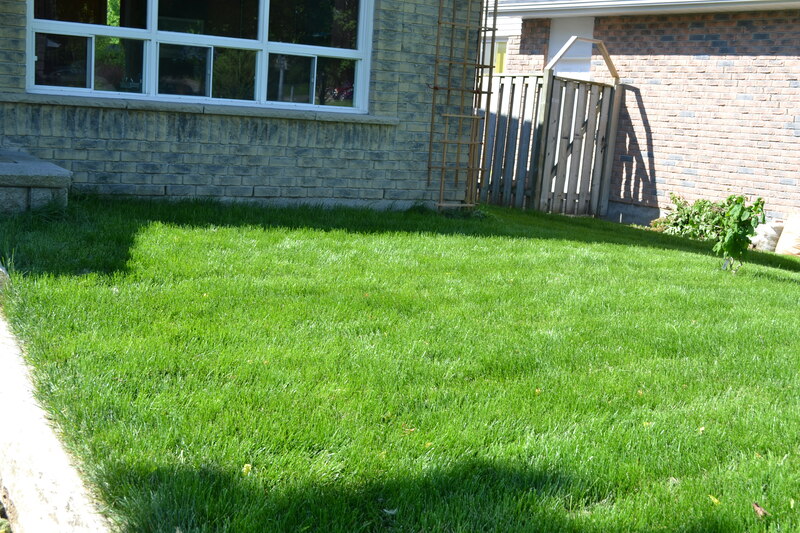 First of all, it is time to rethink the lawn. Even golf courses do not have 100% grass blade turf. Nature does not naturally have pure monocultures of any species, including grass. Do you really want to spend your free time fighting the forces of nature? 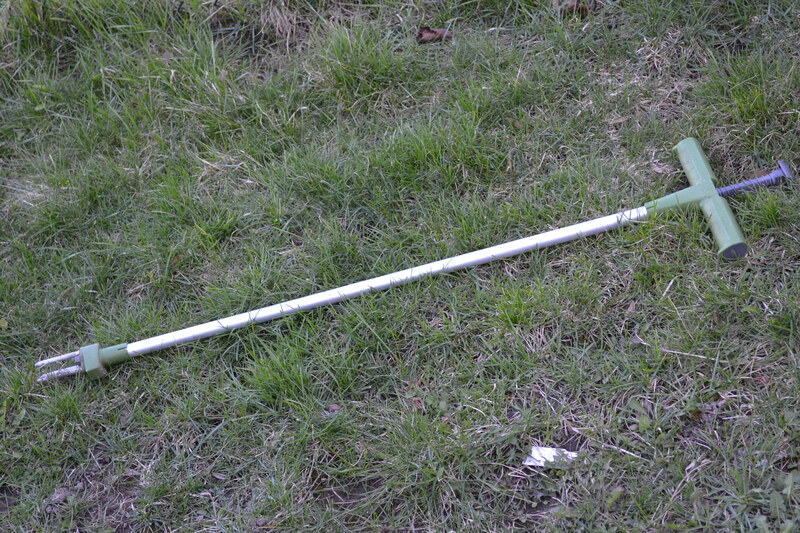 I find this one works well and does not take a huge chunk out of my lawn like the Fiskar’s model. 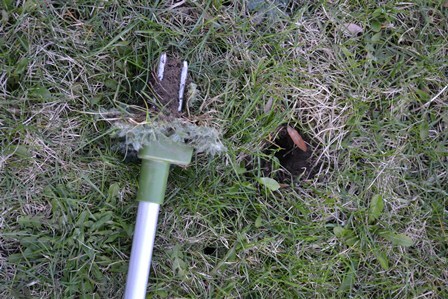 It also works to aerate compacted lawns. After you pull out the weed, fill the hole in with a mixture of sand and seed, and if mixed and used on the same day, some compost. Twist, pull and push it out. Looking for a cost-effective option, try a steak knife and some pre-weeding stretches. For years, my mother would wander around the lawn with her steak knife cutting out the weeds. The lawn always looked great and she only spent around 15 minutes each week weeding. No one wants to go out in the rain, but if you can get out just after the rain, the weeds pull out much easier… You may get dirtier than on a dry day, but a little dirt has got to be good for the soul. At minimum, make sure to pick off the weed flower heads before they go to seed (when they are blooming) to reduce the weed seed bank in your lawn and garden. Lastly, are the “weeds” you are worrying about really a bad thing? Some see clover as a weed. Clover has the ability to take Nitrogen from the air and make it accessible to roots under the ground. Why spend all that money on lawn fertilizer when clover gives it to you for free. Cost effective plant magic! Clover also stays green during a drought and provides pollen for bees. (FYI – our bee populations are in big trouble and they pollinate a huge majority of our food crops, they really need our help and do not generally sting unless heavily provoked). 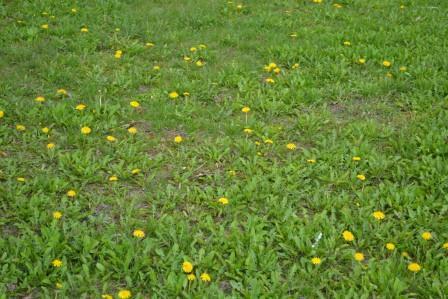 Because your lawn is pesticide free, dandelion leaves are safe for consumption. They are great in a mixed salad and you can make wine from them! No matter how ugly you think dandelions are, can you really hate anything that gives you wine? If in doubt about how your lawn looks, go across the road and look at it from the neighbors’ perspective, it probably looks much better…If it still looks less than perfect, have a glass or two of wine and repeat. Nutritious and you can make wine from them!